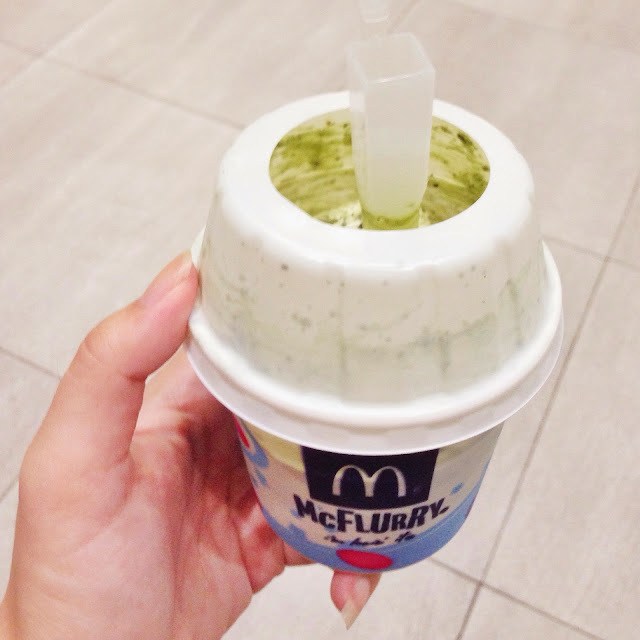 Matcha McFlurry has returned McDonalds Singapore again. Although it has returned for awhile, I finally got to eat it today. Happy indulgence. Do get your Matcha McFlurry at $2.80 before it goes off the menu again. And do drink more water after eating this, as the matcha powder is a little too powerful for sensitive throat.